LAHORE: (Sunday, January 20, 2019): After successfully completing one year of organizing programs for the promotion of reading and book culture among academia, the PU Library Book Club organized the first program of the year 2019. PU Department of English Language and Literature Chairperson Prof. Dr. Amra Raza introduced an English poetry book written by Shadab Zeest Hashmi “Ghazal Cosmopolitan: Ghazals and Essays on the Culture and Craft of the Ghazal”. 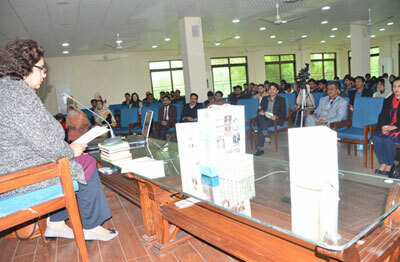 She melodiously recited some verses from the book and the audience enjoyed her style of narration. The second book of the program was of Qasim Ali Shah “Apani Talash” and presented by Syed Saleem Abbas Zaidi, Deputy Chief Librarian of Punjab University Library. Mr Zaidi highlighted the main theme of the book in an inspiring style. 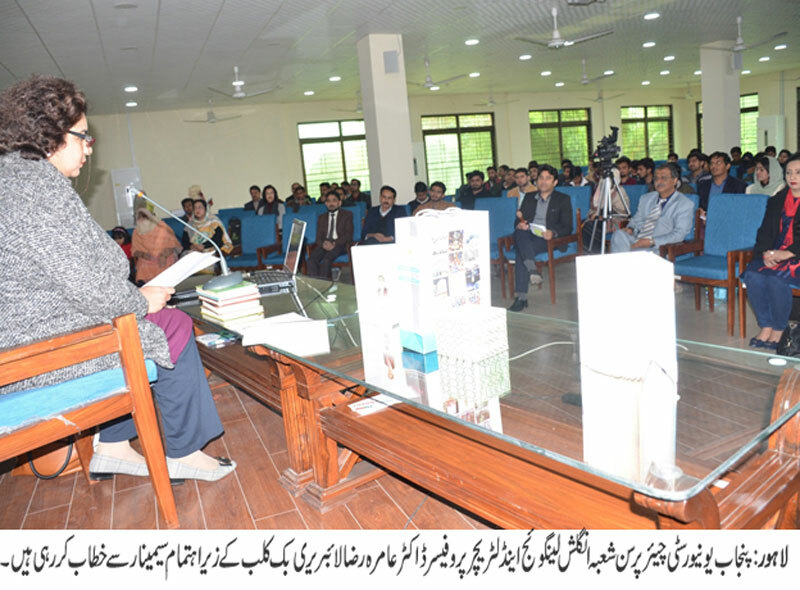 PU Chief Librarian Dr. Muhammad Haroon Usmani, said that the library organizes this program in the middle of each month with the purpose to share thoughts on some good reading pieces with the academia to develop reading and knowledge culture in the society.